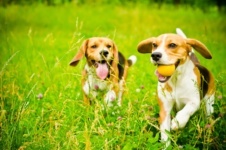 While dog owners tend to put extra thought into the color and style of collars, sometimes leash and harness products can get overlooked. 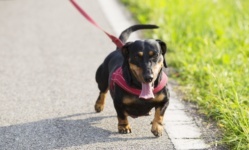 Whether it’s upgrading for convenience or just keeping your dog in fashion, check out some of the latest trends in leash and harness products for 2016. Cycling can be a great way to add variety to exercise for your pet, but it can also be a little tricky maneuvering your dog not to run in front of the bike. Bike Tow Leash is an attachment that adds stability to the cycling experience, with a universal mounting clamp that can attach to any bike with ease. 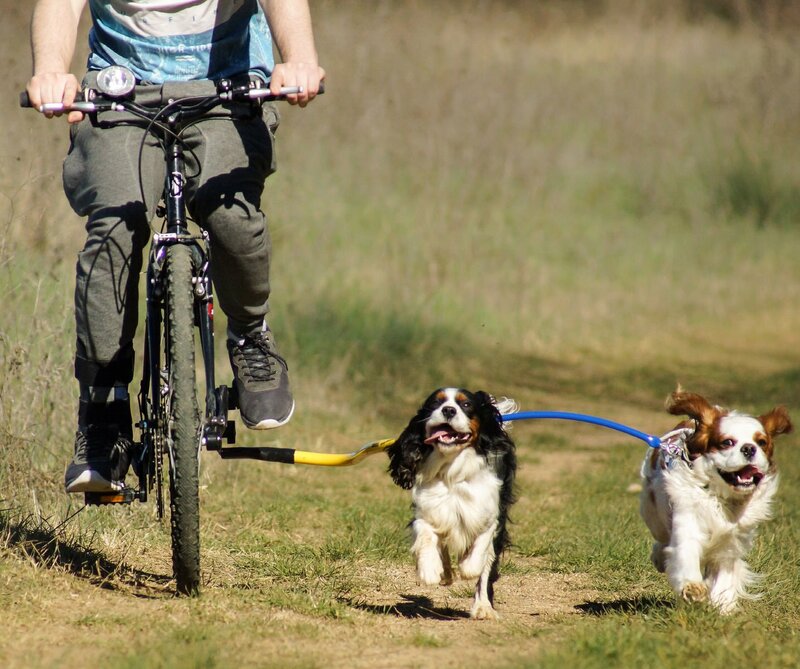 Whether you’re looking to step up your dog’s exercise routine or just looking for a more convenient leash for cycling, Bike Tow Leash is a fix that ensures your pet stays safe and secure on your outing. While many dogs enjoy sticking their heads out of the window and exploring the inside of the car, it can actually be a safety hazard and distraction to the driver. Clickit Utility is a product designed to harness dogs safely in the car, and has been tested using the same guidelines as children’s safety regulations. 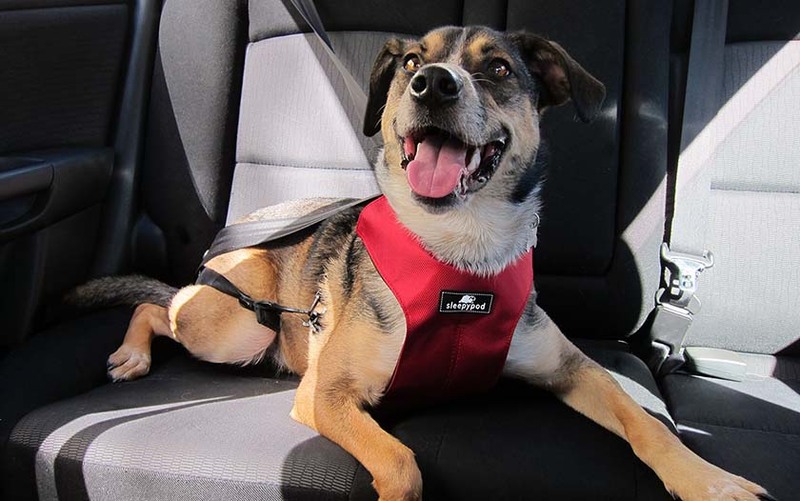 Similar to a three-point seat belt, the harness itself features a padded vest and wide structure that not only ensures your dog will be safely seated but also protects against injury in case of an accident. Who says harnesses have to be drab and simple? 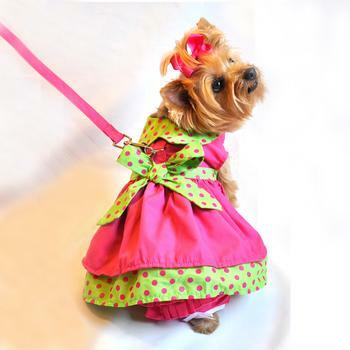 Implementing the same harness design into a stylish dress is the latest trend in dog products. 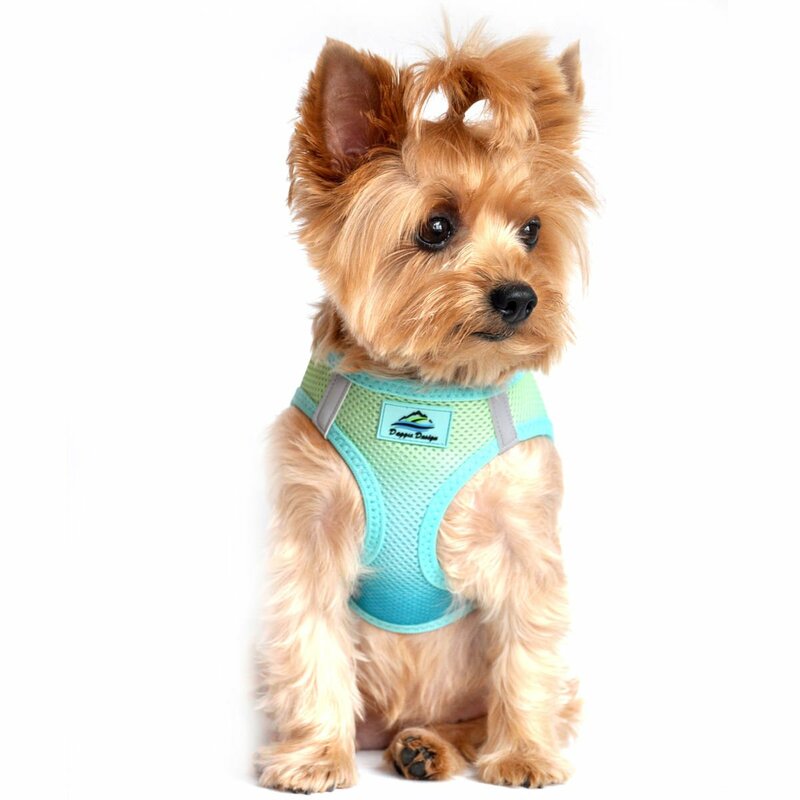 Rather than being pulled at the neck, the harness structure is a way to keep your pet comfortable and secure. There are a number of different dog brands that feature the harness dress, but some of the favorites come from Doggie Design (featured above) and the Urban Pup’s Spring 2016 collection. 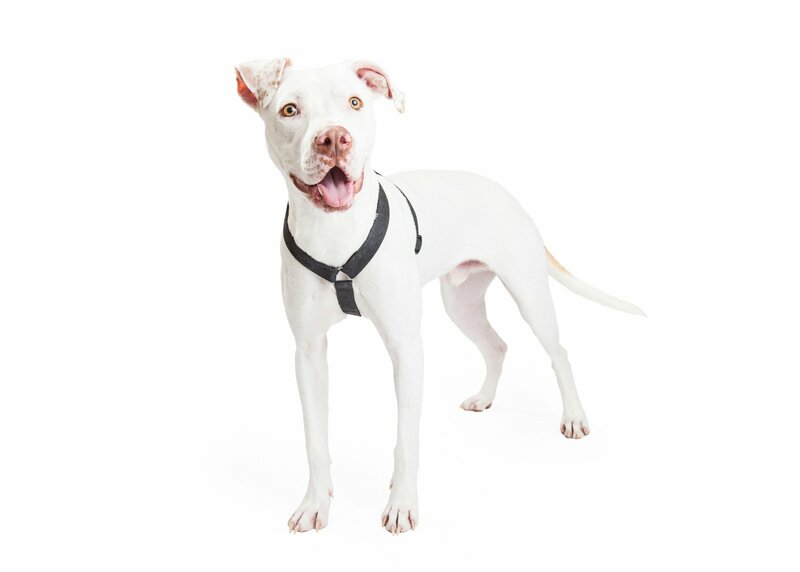 The style of a harness can greatly impact the comfort for a dog, especially with larger harnesses that might be too hot to wear during warmer months. Because a wide strap harness is widely recommended, mesh harnesses allow for a better job at evenly distributing force without overheating your dog. Check out Doggie Design’s latest Ombre Collection for a mesh harness that keeps your dog on trend. 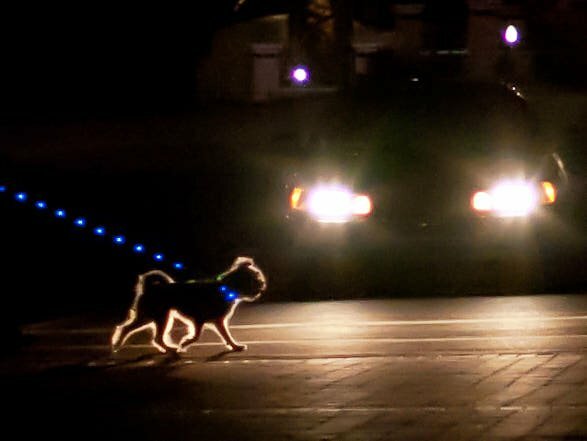 While reflective strips on collars and leashes provide adequate visibility for dogs at night, upgrading to an LED leash or harness elevates the nighttime walking experience. Dog-E-Glow specializes in lighted LED dog products, with stylish prints and a multitude of different colors and patterns. 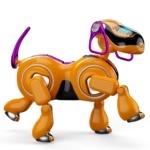 These are battery-operated and water resistant products that come in sizes catering to dogs of all sizes. There are some dog companies that are realizing the convenience factor in all-in-one products for pet owners. 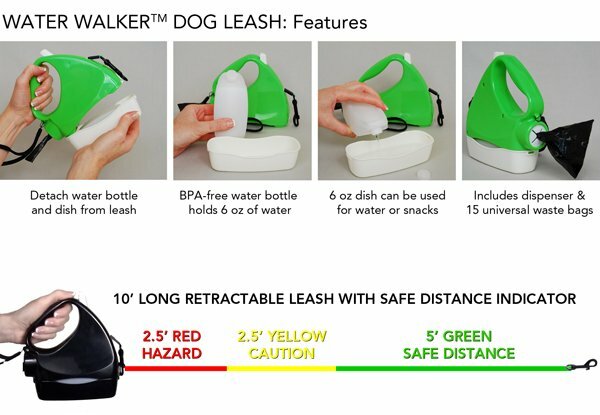 The product that seems to always stay at the top of the list for highly sought after leashes is the Water Walker Leash. This is a reflective leash that is retractable, and has a myriad of built-in features. Including a flashlight, a detachable water and snack holder, and a bag dispenser; this all-in-one leash is about the same size as other standard retractable leashes but comes with far more function.